Florida’s former top elections official is apologizing for dressing in blackface as a Hurricane Katrina victim, more than a week after he resigned when photos of his Halloween costume were made public. 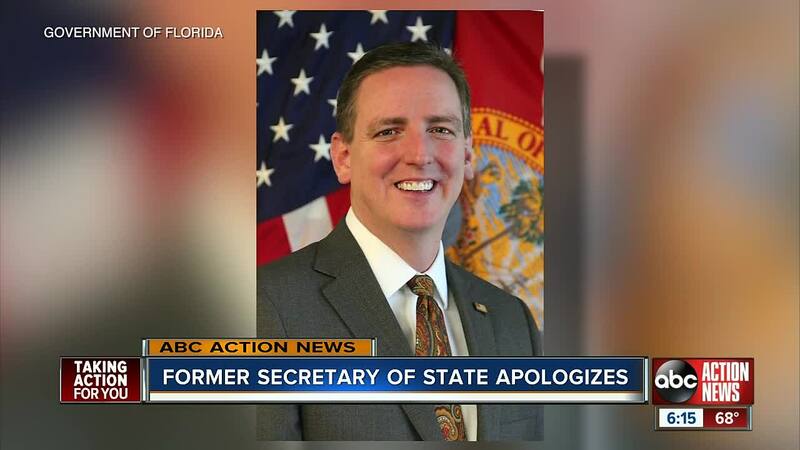 ORLANDO, Fla. (AP) — Florida’s former top elections official is apologizing for dressing in blackface as a Hurricane Katrina victim, more than a week after he resigned when photos of his Halloween costume were made public. Ertel also says that someone made the photos public out of revenge. He didn’t elaborate. Northam says he wasn’t either person in the photo.